I’m going to do a quickie post today because there isn’t that much to post about… I actually like quickie posts better than regular posts because if we don’t post about the stuff that is happening RIGHT AT THIS MOMENT, then we get behind and do A SUPER LONG POST, and nobody wants to read that. Well I don’t, anyway. So here’ s my quickie post of the day: Popstorm 18 was Tweeted, titled Classes with Glasses. I also asked Poptropica when Arabian Nights 3 was estimated to come out, but they haven’t replied yet… I’ll let you know when they do! They said around July/August….. I was also coming Poptropica’s Twitter when I found out some estimated release dates for PoptropiCon Episode 3! @mikaellalouren Right now (it can change! 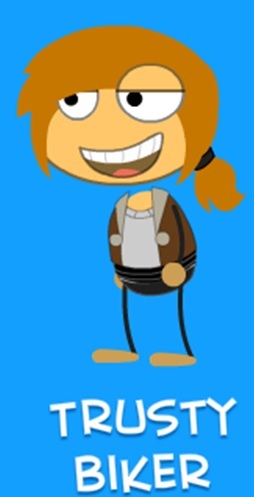 ), PoptropiCon3 for members on March 19; for public April 9. So members, you have to wait until March 19 (hopefully! ), and non-members, you have to wait until April 9. But just a reminder, THESE DATES CAN CHANGE! Don’t get your hopes up! I apologize for my weird title. It’s actually a shortened version of Popstorm 18, and PoptropiCon Possible Release Dates! Poptropica Inside and Out Popping Poptropica Stories Are the blogs I own. Search them. I'm an 11 year old girl and I live in the USA. My favorite color is neon green.